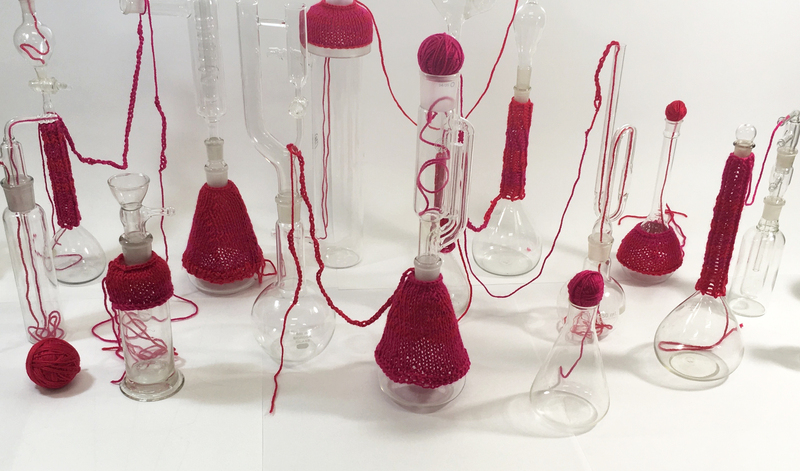 Tracey Clement, ‘Soft Science City I,’ 2018, laboratory glass and knitted acrylic, dimensions variable, max height 50cm. The first work in my Soft Science series, Soft Science: City, debuted in the group show Couplings in April 2018. Curators Helen Hyatt-Johnston and Brad Buckley selected 30 artists (who are also couples) to exhibit together, including me and my partner Peter Burgess.